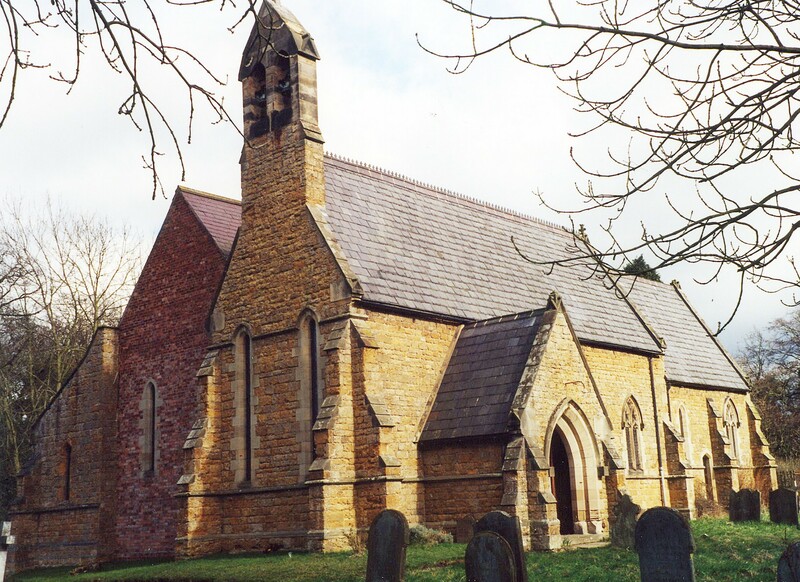 You can also perform a more selective search for churches in the Holton le Moor area or see them printed on a map. The church has both Saxon and early Norman remnants in the structure. The church was considered "decayed" in 1842. At that time, devine service was only performed once a fortnight. The church was rebuilt in 1854 in the Gothic style with a turret. The church chancel and nave was added in 1926. David HITCHBORNE has a photograph of St. Luke's church on Geo-graph, taken in July, 2004. The Anglican parish register dates from 1813. This village and parish is 3 miles southwest of Caistor, 9.5 miles southeast of Brigg and 150 miles north of London. The parish covers 1,892 acres. Nettleton Wood stands to the north. Ask for a calculation of the distance from Holton le Moor to another place. You can see the administrative areas in which Holton le Moor has been placed at times in the past. Select one to see a link to a map of that particular area. Archaeological evidence suggests Stone Age settlers inhabited the parish. Up until about 1840, the greater part of this parish was a rabbit warren. Durring the late 19th and early 20th centuries, the DIXON family converted the tiny village into a planned estate village with new farm buildings, a school and the village hall. Holton Hall was built in 1785 for the DIXON family. Holton Park was the residence of Mr. Thomas John DIXON in 1842. Holton Park was the residence of Mrs. Jameson DIXON in 1900. There is a cross in the churchyard in memory of the men of the village who died in World War I.
Kate NICOL has a photograph of the War Memorial cross on Geo-graph, taken in February, 2010. The military set up an "Aspirin" transmitter here in World War II. This transmitter would interrupt or interfere with the German Luftwaffe's Knickebein signal which was used to direct bombers to their targets. For a photograph of the Holton-le-Moor War Memorial and the list of names on it, see the Roll of Honour site. For centuries, this parish was only a parochial chapelry. In December, 1866, it was established as a Civil Parish. Enclosure of the Common Land began here in the early 17th century. As a result of the 1834 Poor Law Amendment Act, the parish became part of the Caistor Poor Law Union. The parish almshouses were built in 1910 thanks to a bequest from Mrs. Jameson DIXON. Richard CROFT has a photograph of the Almshouses on Geo-graph, taken in May, 2010. A Public Elementary School was built here in 1858 to hold 60 students. It was replaced with a new school in 1913. Richard CROFT has a photograph of the school facade on Geo-graph, taken in May, 2010.